Gang Green! The sea of autists, parents, teachers, and all Angels who joined the Angels Walk for Autism at the Mall of Asia. Photo courtesy of Autism Society Philippines. Apologies for the long wait, since I had been highly knackered and feeling lazy for the past few days (I admit, the weekend had been fully loaded, so it’d be a given). But allow me to give you a full update on what went on and what’s hot during the 2013 Angels Walk for Autism at the SM Mall of Asia in Pasay City, Philippines. Like promised, I organized live tweeting that aims to update everyone on what happens live at the event, starting from our travels to the end of the event. Thanks to Storify, I was able to compile all tweets during the #BigBroAngelsWalk tweet marathon, and here they are. Well, it’s 7:00am. We’re on our way to @TheMallofAsia with the entire contingency of Cavite. See you for #BigBroAngelsWalk! Of course, there are “untold” stories, happenings that hadn’t been published on the Twitter universe — at least until now. Okay, here’s the deal. I happened to organize our contingents for our local chapter, and it was a bit kind of tedious to organize a convoy. Well, almost — our vehicle went ahead of the rest of the contingents, as we set foot in the venue, where the sea of green is filling, and in a matter of minutes, the huge Music Hall was filled to the brim of people wearing green. And there was the talent showcase after the walk. 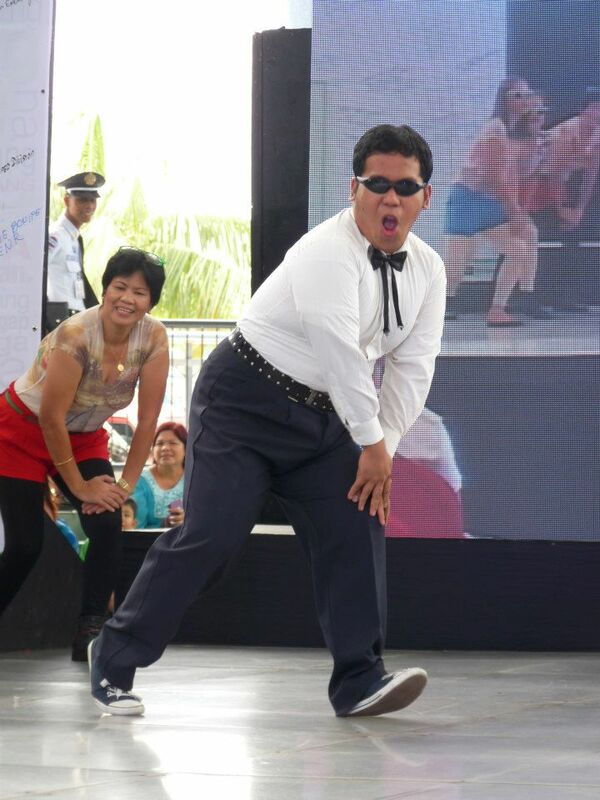 Our chapter leaders happened to be one of them, and for a few seconds, the audience were able to see “PSY” in the flesh — live. Well, not really. Hahaha. Anyway, here ends our live #BigBroAngelsWalk Twitter coverage of the Angels Walk for Autism. We hope to see you again next year for this huge event, and we hope, in an even more huge place. #BigBroAngelsWalk Live Tweets Start Now!